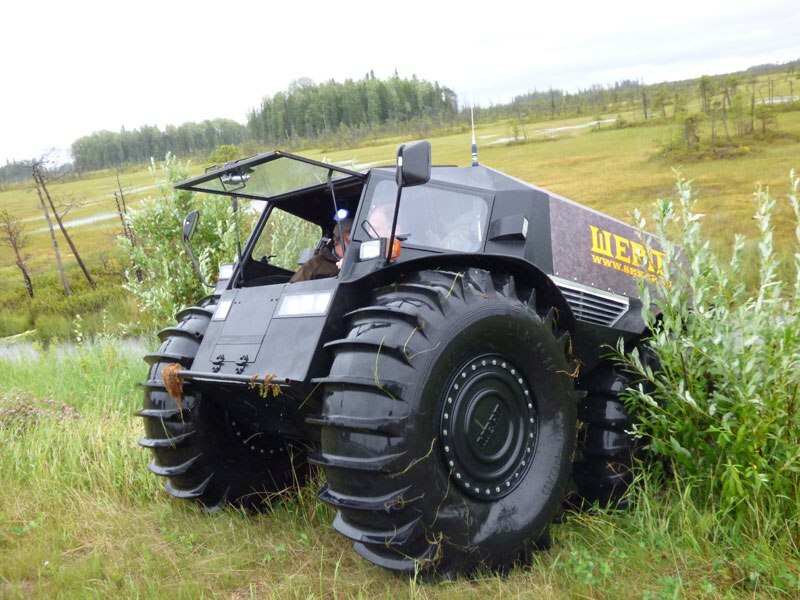 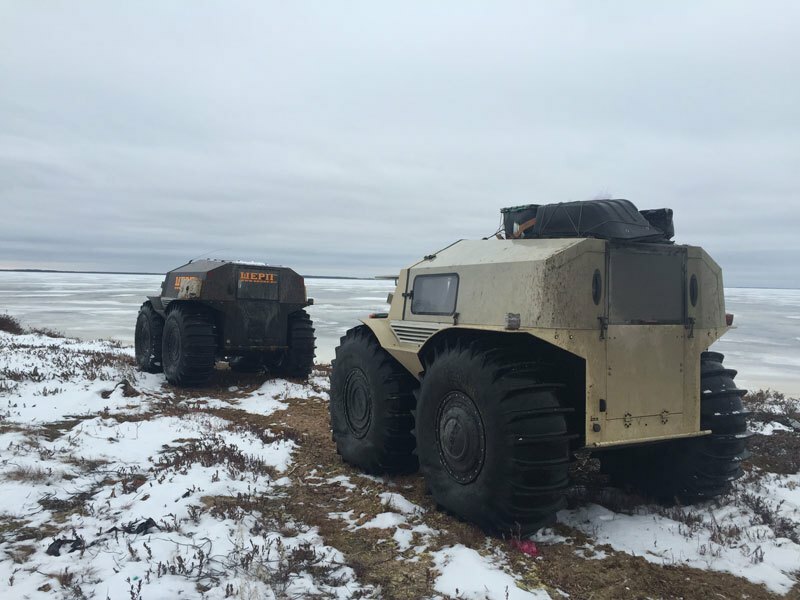 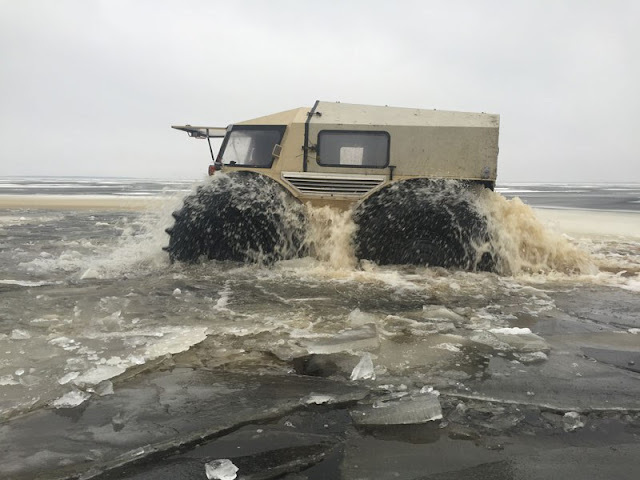 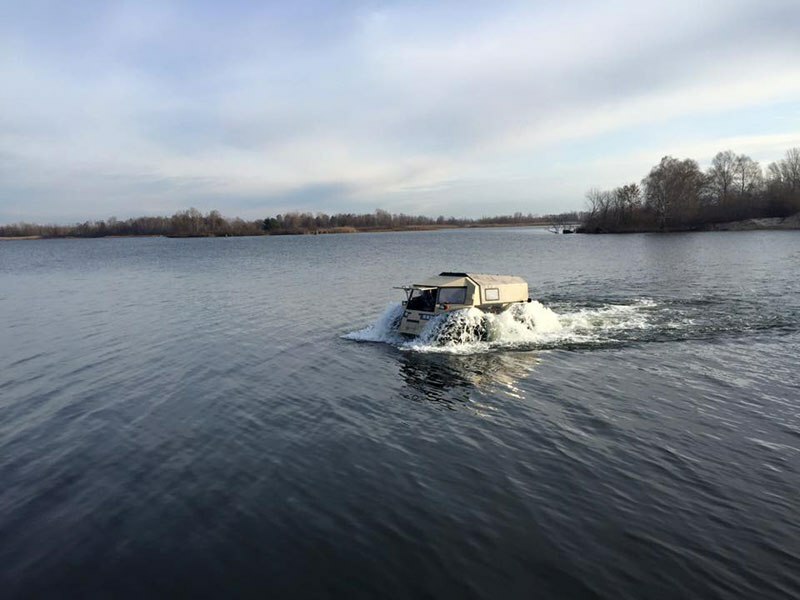 Designed to handle the harsh and unforgiving Russian environment, SHERP is an amphibious truck with self-inflating tires that can go across land, water and everything in between—including obstacles 70 cm (27.5 in) high. 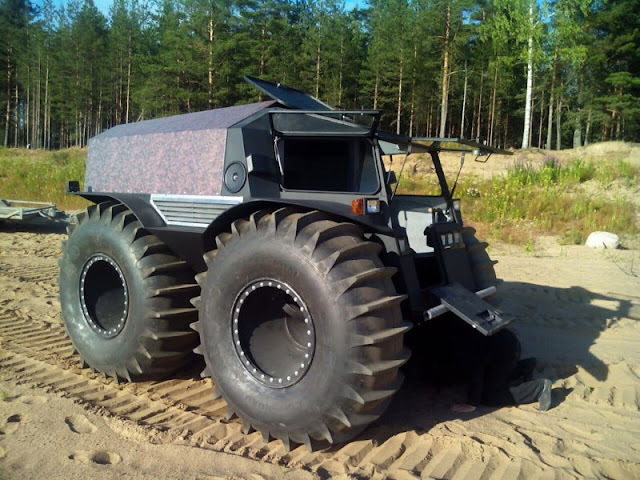 Based out of Saint Petersburg, the first SHERP prototype was built in 2012 by Aleksey Garagashyan. 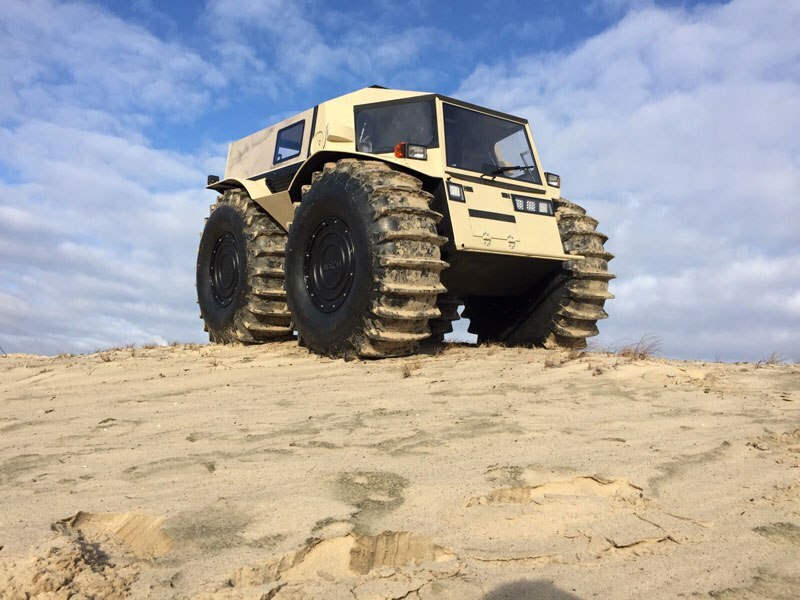 Four years later, SHERP is now available for sale to the public with based models starting just under US$50,000. 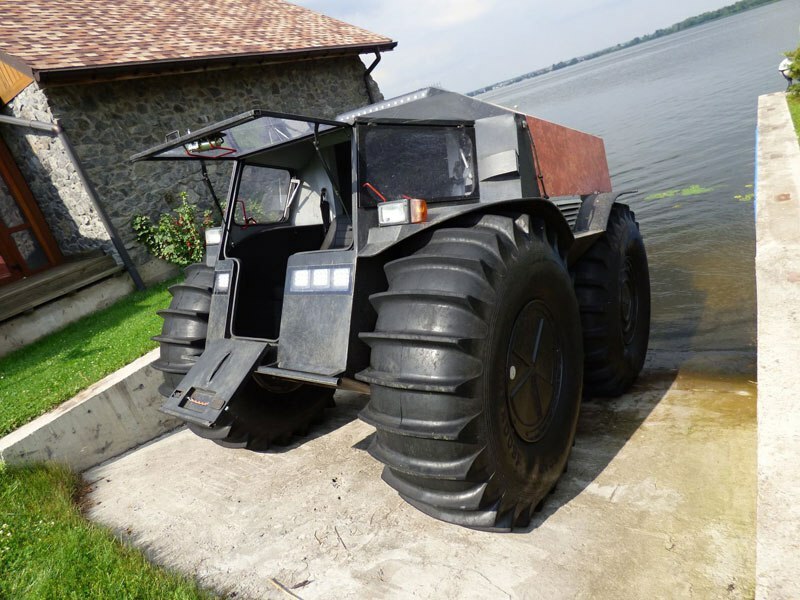 With its giant custom tires and the skid-steer, it can also turn in its own length, which is 11 feet. 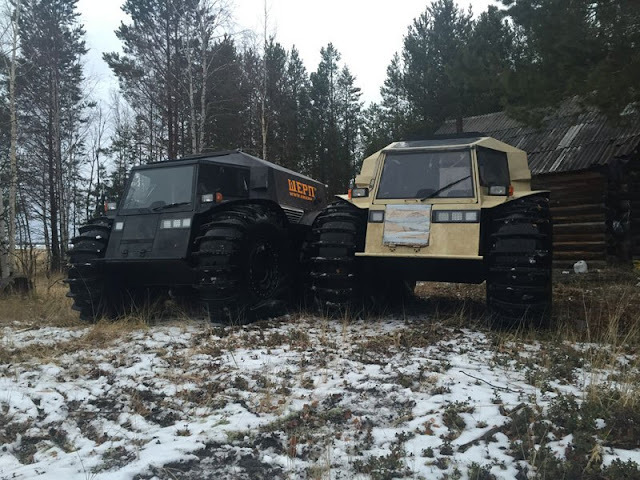 And as long as the trees ahead are at least 8.2 feet apart, this crazy two seater will find a way through them. 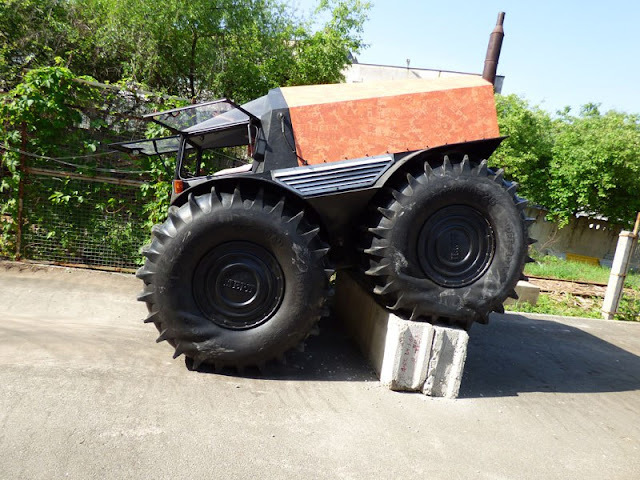 There are plenty of options and upgrades available. 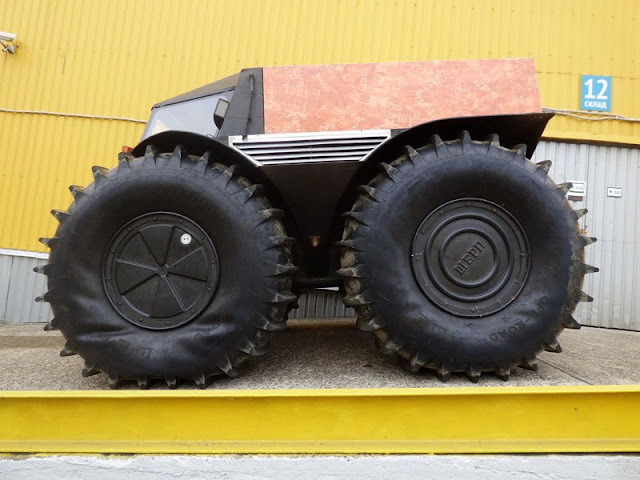 For all information check out their official website. You can also keep up with the latest news on SHERP on Facebook. 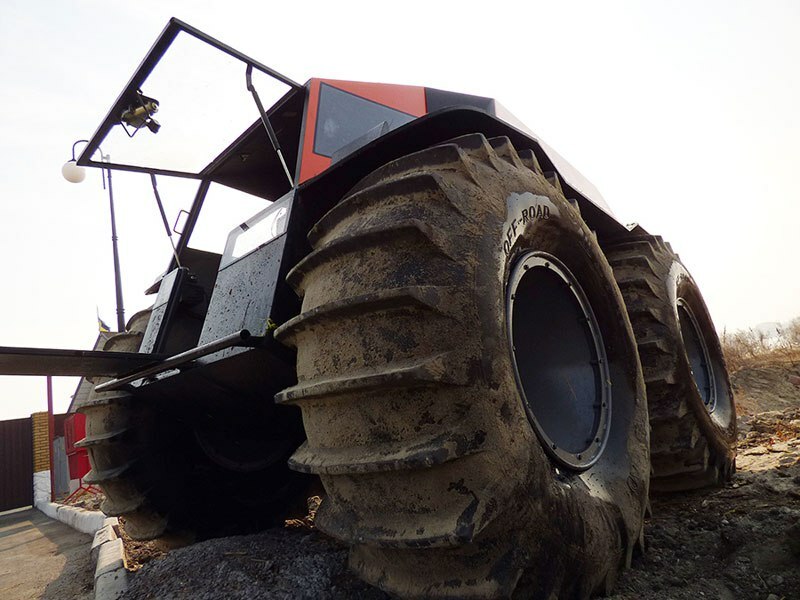 To see this baby in action, be sure to watch the embedded vid below.